If my first year of active involvement in this community has done one thing to bolster my own support for a basic income, it has been this. I began my work for Basic Income News as a “pure volunteer,” later dabbled in crowdfunding, and eventually received a grant for my work. Through it all, I have come to believe that there is good reason that voluntary work should remain voluntary, as long as it is financially feasible for volunteers to remain such (if, for example, volunteers had access to a work-unconditional guaranteed income). Of course, no bold conclusions can be drawn from my experience alone. I am but one datum, a voluntary (no pun intended) sample of n = 1. The anecdotes that follow are meant only to be suggestive, to inspire critical reflection on ways in which the monetization of labor might compromise our attitudes as workers and, in turn, the quality (and quantity) of our output. 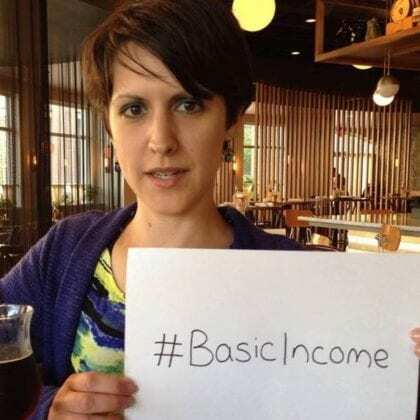 When I began working for Basic Income News in early 2016, I did not seek financial compensation for my labor, nor did I have any expectation ever to do so. BIEN has been entirely volunteer-based since its inception and had no hiring plans for the foreseeable future. At that time, the praise and acceptance that I received as a result of my contributions — the satisfaction of providing something of quality and utility to people whom I respected — was all the motivation I needed. I also, at that time, had the means to support myself temporarily (a self-funded basic income, if you will). Thus, in mid-2016, I chose to treat this work for BIEN as if it were my “full-time job” while I self-financed my living. As my work began to gain attention, however, my situation changed. First, colleagues encouraged me to raise money for myself on Patreon, à la basic income writer and advocate Scott Santens. Allured by the prospect of a longer “career” as a freelance basic income reporter and writer, I did indeed create my own Patreon account, and reached a peak monthly “salary” of over $300 within only a few months. However, crowdfunding — and the associated attempts to “brand myself” as a public figure — proved to be a considerable drain on my morale, and, as discussed below, it created perverse incentives that very nearly undermined my sense of solidarity with the BIEN and Basic Income News community. Thus, although I kept my account open, I ceased to devote time and energy to personal crowdfunding. At the end of the year, though, the impulse to monetize my volunteer labor returned through a different vehicle: in December 2016, the Economic Security Project (ESP) launched in the United States, with the bold proclamation that it would be distributing $10 million in cash grants to projects related to researching or promoting basic income. With the support of my colleagues, I applied for, and received, a grant amounting to $2,000 per month to support my work for Basic Income News for one year. It felt like a dream come true to me — the highlight and capstone of an unexpectedly exciting and successful year. In the ensuing months, however, I noticed that — despite its unquestionable benefits to my personal finances — even the receipt of the ESP grant began to impact my attitude and morale, my relationships with colleagues, and the quality of my work in ways that were not altogether salubrious. Given the present political reality, my personal circumstances — being paid to volunteer, if you will — are about as good as they can be. But I believe that, if reality could be otherwise, I might have been a much more effective contributor to the good of Basic Income News and BIEN, and perhaps the basic income community at large, if I simply had the wherewithal to continue to support myself while engaging in true volunteer work. In my experience, the single most salient adverse effect of monetizing volunteer work — whether through crowdfunding or through grant-seeking — has been its tendency to induce a change in mindset that transforms allies and collaborators into rivals. Whether I was raising money to support myself on Patreon or pursuing an individual grant, I was pursuing money to support myself as an individual. I was forced to market myself, to promote myself, to present myself as individually (and uniquely among BIEN volunteers) deserving of funds — even though the job to which I had agreed, and the job that I initially loved, was to work for BIEN. During my first months with the organization, when I thought nothing about monetization, I tended to select my tasks for any given day based upon what I perceived as BIEN’s most pressing needs and demands, in conjunction with my own abilities, interests, and inclinations. But when I found myself faced with the tasks of earning and retaining funders, new questions emerged at the forefront: How can I make it appear that, out of all volunteers in the basic income movement, I am worthy of money? How can I stand out from the crowd? Unsurprisingly, the drive to “stand out” as individually worthy of support can have deleterious effects on work in a collaborative environment like BIEN and Basic Income News. For example, the news service requires much “behind the scenes” work to remain functional. Most would-be funders, however, are not privy to our backstage activities — and would-be fundees like me know this. Meanwhile, Basic Income News posts are generally published under the names of their authors; thus, as actors on the front stage, news authors do sometimes gain the attention of those outside of the news team itself. As a consequence, the pursuit of outside funding tends to incentivize writing as much as possible under one’s own name, while minimizing administrative tasks, proofreading, editing, volunteer training, general website updates and maintenance, and any other such “invisible” work, despite the indubitable importance of the latter for BIEN. Thus, for one, the pursuit of outside funds can create incentives that may lead the “fundee” to act contrary to their better judgement of how they could most effectively use their time and talents to further the good of their organization or cause. However, there can be even darker effects of the competitive, individualistic mindset engendered by personal profit-seeking. Another tendency I noticed, after I began crowdfunding, was an avaricious urge to seize each and every good news lead for myself — neither asking nor caring whether any other volunteers might enjoy writing the story or might be better positioned than myself to write on its particular topic or region. When other writers claimed major news lead, I wasn’t happy to see that they were contributing, nor was I happy even to have less work for myself; instead, I felt a twinge of envy. It’s a gross understatement to say that I’m not proud of these thoughts and never was; the feeling that I was required to outdo my own peers and allies was anything but fun or exciting. It should additionally be noted that I encountered this perverse effect — the felt demand to treat collaborators as if they were competitors — despite the fact that no other Basic Income News volunteers were raising money for themselves. This is because, I think, I faced a special mental burden as the sole volunteer seeking monetary contributions: the burden of rationalizing to myself why I sought funding while my collaborators did not (or why, given that they were not receiving their own donations, I did not donate a portion of my own proceeds to them). When I observed my own money-seeking behavior, I saw that this behavior implied that I saw my own work and contributions as “more deserving” than those of my collaborators. Trying to “outdo” other volunteers, then, was in part a mechanism to relieve cognitive dissonance: if I could prove to myself that I was “the best” of the Basic Income News volunteers, I could rationalize my behavior of seeking donations for myself and myself alone. In the end, I found one way to overcome these counterproductive attitudes and urges: I ignored the prospect of future money in basic income news writing, and accepted the assumption that I would not bring in additional money on Patreon, would not secure an additional year of grant funding, etc. That is, I retrained myself not to think of my work as a money-making venture. It probably requires little imagination to understand why seeking money from donors could threaten to compromise journalistic integrity. One should hope, at least, that news reporting would answer to the facts rather than the preferences and predilections of any monied interest. Even when writing opinion pieces, such as this one, I consider myself to be bound by ethical and epistemic duties that the pursuit of donors might threaten to comprise. Roughly, I believe that I have a responsibility to write in support of positions that I believe Basic Income News followers should see supported, and to criticize positions that I believe Basic Income News followers should see criticized. Sometimes acting in accordance with this responsibility amounts to defending unpopular positions — such as, say, emphasizing some of the limitations of basic income or even questioning its feasibility — knowing that many readers are unlikely otherwise to seek out articles that challenge their pre-existing views. Indeed, even writing a full-fledged defense of basic income is likely to alienate some readers, given that there are many incompatible versions of basic income and that many incompatible reasons have been adduced to support them. I know, for example, that many basic income supporters would prefer to de-emphasize or outright reject approaches that turn on degrowth or post-work utopias. When I supported myself financially, I was free to write whatever I believed needed to be written. Money seeking, however, introduces new questions. Should I try to remain as neutral and inoffensive as possible, even when writing opinion pieces, in order not to alienate potential funders? Should I avoid writing neutral and objective summaries of reports and articles that oppose basic income — knowing that most of my actual and potential funders would prefer to read a rebuttal? Should I try as much as possible to pander to the interests and positions of those basic income supporters with the most disposable cash (say, perhaps, those among the tech elite)? And, just to be safe, should I rule out ever writing a critical piece on the motives behind Silicon Valley’s interest in basic income? Should I assume that some rich potential supporters are likely to be pro-growth, and so stay away from ever writing in favor of a degrowth perspective — even though the latter is much closer to what I support? Should I avoid any sort of criticisms of the basic income movements that apply to my own funders? Should I stay quiet if I notice that one of my donors has begun spreading inaccurate or misleading claims about the status of one of the basic income experiments? And so on. Fortunately, I was never tempted to compromise on my values as a journalist or writer in order to try to obtain donations, although it was distressingly easy to see that matters could have been different had I been in more dire need of funds, especially when attempting to crowdsource money through Patreon. I have occasionally, however, felt some pull after the fact to avoid criticizing those who have contributed to my funding — out of a sense of loyalty or respect to those who have shown generosity. Although superficially more virtuous, perhaps, the latter impulse — the desire not to offend those who have been charitable — can be just as problematic insofar as it becomes a threat to journalistic integrity. So far, I have focused on problems that arise when one fixates on the goal of securing or retaining funding. But adverse monetization-related effects on attitude and motivation can persist even within a secure funding arrangement — as I have experienced as a grantee. Let’s look back to late 2016, prior to my receipt of the ESP grant. I have never tracked my hours, but I would guess that, at this time, I would sometimes willingly devote 50 or 60 hours per week to work for BIEN and Basic Income News. Since I did so for no pay, and without the expectation of future pay, the effort was clearly my choice; it was something I elected to do because of the appreciation it received from others and the sense of fulfillment it offered to me. After I was offered $2,000 per month to complete the same work, my attitude began to shift. While there were surely many confounding factors, I feel certain that monetization played a distinct demotivational role at this point in my “career.” In fact, I felt a bit like an embodiment of research by behavioral economists like Dan Ariely on the tendency of monetary compensation to “crowd out” intrinsic and altruistic motivation to perform tasks. I grew disinclined to put in long hours of work, and sometimes even felt resentful when I imagined that others were expecting me to continue to work as much as I had been working at the end of 2016. The fact that I was receiving only $2,000 per month played a role in this motivational change that was sometimes cognitively explicit. To be sure, this was the amount I had requested — the maximum amount, in fact — and I had requested this particular amount under the assumption that I would use it to cover basic expenses while continuing to work full-time (or more) each week. Prior actually to receiving the grant, I never thought about the fact that I was probably working at least 40 hours per week, and that, in the US, it would typically be seen as exceedingly cheap to hire a PhD-holder to perform a full-time job for a pre-tax salary of $2,000 per month without health insurance or other benefits. After receiving the grant, however, I conceptualized my work much different: as Ariely might put it, I began to conceptualize my work in terms of economic norms instead of social norms. I was no longer working for the good of BIEN, for the basic income movement, or for any pleasure I intrinsically received from the work; I was instead working for $2,000 per month (with no benefits) — which seemed to merit no more than part-time work and effort. If I were to put in a 50 or 60 hour week, it no longer felt to me like I was voluntarily breaking my back for a good cause, as it did when I was doing the same amount of work for no compensation whatsoever. Instead, when I worked such long hours for a relatively small salary, I just felt underpaid relative to my efforts. Eventually, I was able to work with ESP to resolve specific conditions on my grant funding, and I am happy to say that they are extremely reasonable (and, of course, they carry no expectation that I must work time-and-half!). It remains true, however, that the effect of financial compensation has not been to increase my effort or enthusiasm in my work for Basic Income News. On the contrary, I am now working much less for the news service than I was prior to being paid. In the end, I believe, all of the effects of the grant have turned out well for me — even if not precisely (or at all!) in the way that might have been expected: given my tendencies toward workaholism, I am indeed rather grateful for any financially-induced loss of motivation. I am now much more inclined to moderate the time and effort that I dedicate to Basic Income News and, as as consequence, less stressed. It’s likely that, had it not been for monetization, I would have soon been a victim of burnout (yes, burnout at volunteer work). Meanwhile, I have avoided other potentially adverse effects of monetization — such as the sense of competition against my peers — simply by adopting the acceptance that I will not continue to be funded in 2018 (and by assuring myself that this is okay, that I’ll find a way to make do, long enough, until I find something else). This mindset allows me to revert attention from the question “How can I secure money for myself?” back to questions like “What needs to be done?” and “What do I want to do?” The latter questions, I find, are much more conducive to the production of quality work and, certainly, healthier and happier attitudes. 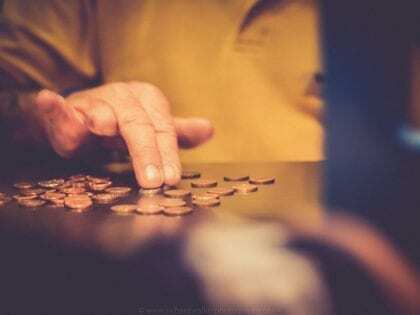 So, while I have found an effective strategy, it depends, essentially, on having a personal financial safety net on which I can fall if I do not immediately secure additional paid labor. It would irresponsible to assert that my experience can be generalized to others, in other circumstances of voluntary work. To the extent that it does generalize, however, it seems that voluntary work is best supported and encouraged not by the monetization of that work, but by the provision of financial support entirely independent of that work — the type of financial support that would be provided, for instance, by an unconditional basic income. The problem is that money has not only economic, but (psychological) signaling function as well. If one received a pure economic reward stripped of the signaling component*, the dampening of intrinsic motivation should not happen. To keep the worker motivated, the signaling (component of) reward can be granted by a non-monetary mechanism and set to be numerically equal to the value of product or service the work produces. By the way, the only gripe I have with the whole UBI idea is neglect of the signaling aspect of money and I would argue that directly or indirectly it is also the reason why people have such a hard time to accept it. Interesting ideas. I also don’t know what it would take to strip economic rewards of their “signaling component” as you call it, if this is even possible, but it is a line of inquiry worth further pursuit. Thanks for linking your website, by the way. I’ve downloaded your paper on The Merit Economy to read soon for a better grasp of your perspective. It deals with a very big dilemma trying to answer “what money can’t buy” oir even: what are the moral limits of markets. In any case, we can be payed as a member of a non profit organizations that boosts the common interest of society, and even so be really engaged with the outputs and the outcomes. There is a need of professionalization that requires full time dedication. How to solve it? The “moral limits of markets” is definitely a huge topic… already worthy of a book by the title, and deserving of much further research. Of course, my initial conjecture is that a livable unconditional basic income could solve the dilemma for those sufficiently dedicated to their (volunteer) work that, as long as their basic needs are met, they would freely and voluntarily choose to pursue this work rather than seek full-time paid employment at something else. UBI might be “good enough” for those in my situation or similar… but, even here, much depends on social context. Kate, there is a bunch of research supporting the idea of two components of money (wealth) that is not included in the paper. Some recent examples are listed below. Also, a more recent and maybe a more digestible write-up about the merit economy idea can be found in a medium.com blog post I wrote recently. The URL is listed on the web site. Alexander W. Cappelen, Karl Ove Moene, Siv-Elisabeth Skjelbred, Bertil Tungoddden, 2017. The merit primacy effect. Thanks, Alexander. I look forward to reading further on this topic.